"I love the original Cubis Creatures so I thought I'd give this one a try. It has some very different features which jazz up the game. For one, it adds cubes with every play so you must factor that into where you aim. It also has many levels and challenges to restore all the kingdoms. As with the original version, the levels get progressively harder to solve." 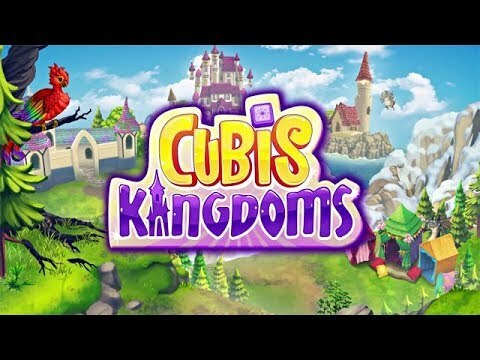 It’s a brand new world with Cubis Kingdoms. Cubis fans will recognize the famously unique, three dimensional gameplay, but with a whole new twist. This time around, every match counts. Make matches in order to collect precious elements required to restore the kingdom. Clear the board to earn elixirs that return people and animals to their once cursed land. Along the way, meet your cute and helpful allies who aid your progress with exciting, new, power-ups. Strategically blast rows, explode cubes, and destroy all obstacles in your path. With 200 levels, travelling through six, whimsical, regions, the fun can go on for days.